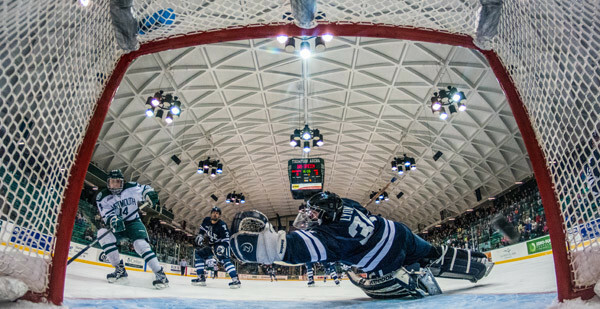 With the Dartmouth Hockey season beginning to wind down, the Friends of Hockey are offering all alumni, parents, and friends an incentive to support the 2017-18 Friends of Hockey fundraising campaign. All donors will have the 'net increase' of their support matched at a 2:1 ratio. The Challenge is open to all alumni, parents, and friends, and will continue through the end of hockey season, or until $15,000 in net new dollars are matched. Someone gives $100 in 2016-17 and today, makes a $250 gift.